Elegant Painting® Serves homeowners who expect more from their home improvement professionals. Our exterior painting process is directly inspired by paint manufacturer’s instructions. Longevity is our main focus. Our paint preparation service includes power washing, scraping any loose paint, exterior oil primer to seal cedar siding. 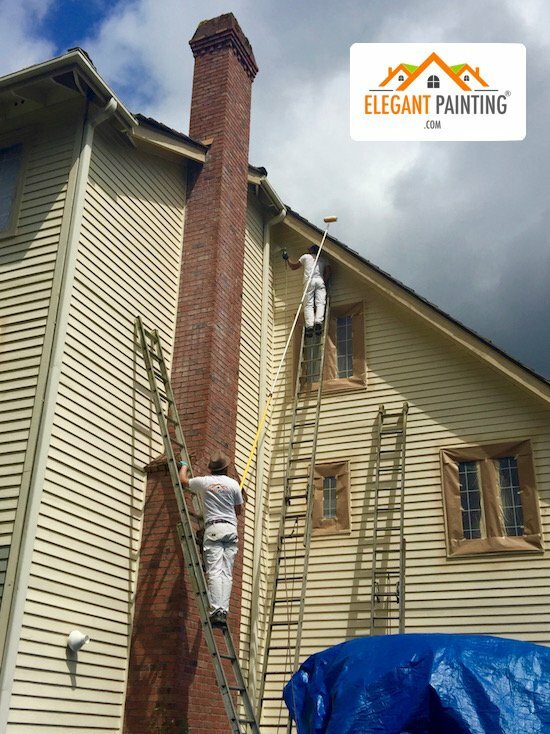 Read more about our exterior painting preparation service. Sherwin Williams® and Benjamin Moore® both carry High and low-end paints. As a premium service provider, Elegant Painting® uses only top of the line products from both major brands. We guarantee the precision of our paint jobs in writing! See our exterior painting precision guarantee here. All top quality house painters have a waiting list. We urge you to book your exterior months in advance. Click here to find out if we have room on our exterior painting calendar.